Algerian immigrant Fatima is a single mother raising her two daughters in the Lyon suburbs. She works long hours as a cleaning lady for several wealthy families, as well as in a factory. Nesrine, her 19-year-old daughter, is a first-year medical student who studies diligently. But Souad, 15, is rebellious and disrespectful. Fatima, who’s having a difficult time learning French, also has to deal with the prejudices of the women she encounters in the neighborhood. She can’t verbalize her frustration or denounce the injustices she endures at the hands of some of her bosses. 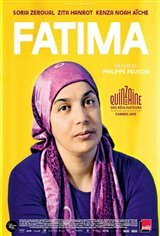 When she’s injured after falling down some stairs at work, Fatima begins a diary in Arabic, telling her daughters all the things that she’s not able to express to them in French.